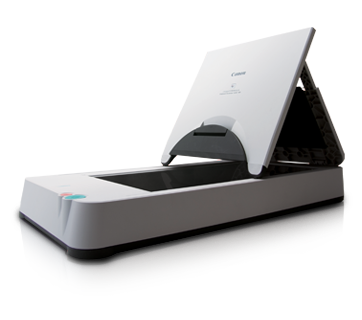 With a simple USB connection, Flatbed Scanner Unit 101 is able to connect to wide range of Canon DR-series document scanners. * The Flatbed Scanner Unit 101 cannot operate as a stand-alone unit. Make sure to connect it to a Canon DR-series document scanner. Scan documents in conjunction with the connected Canon DR-series scanner, and save the images as a single file with the seamlessness of single-scanner operation. Digitise important documents in high quality with 1,200dpi optical resolution. Scan as large as legal size, or fold the document cover to scan smaller documents with ease.